Call us today at (301) 476-8015 to learn more. Hash, Copy, Hash, Disc Burning by Crime Type (or not). You decide how it works. Delete media from the original source automatically (or not). 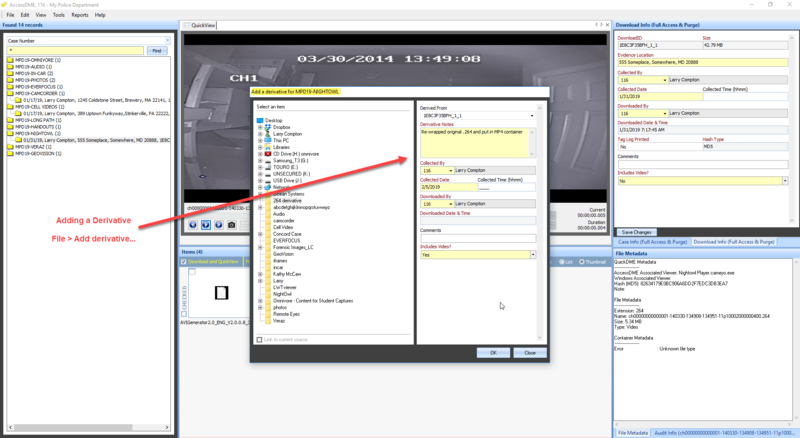 Evidence is automatically stored to your predefined folder structure using variables from your form. Add Custom Fields to track and search for the information you find important. Set things how you want them to force standardization & improve efficiencies for you or your team. 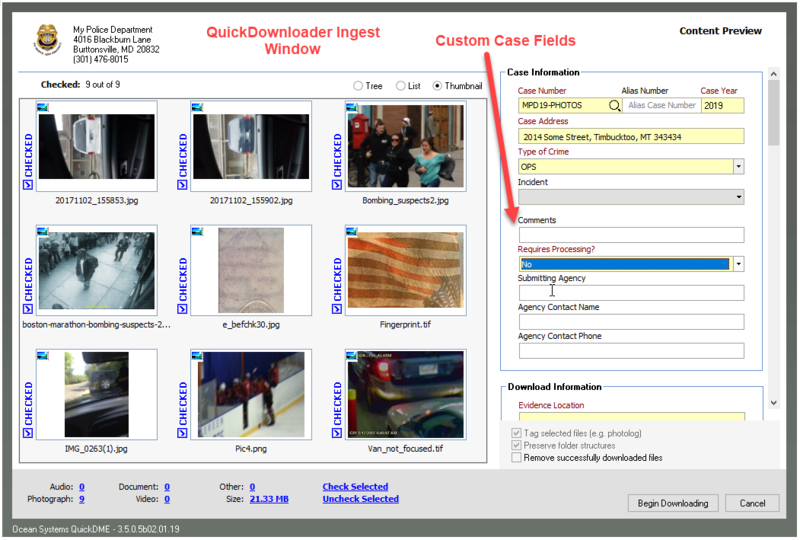 Gather important metadata that you can search and leverage to generate reports. 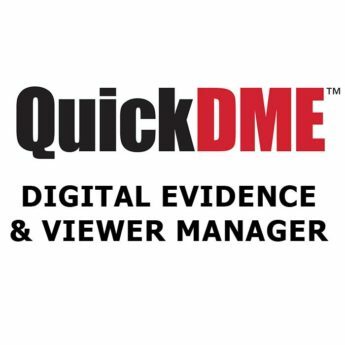 QuickDME makes it easier than ever to access and share your digital evidence. 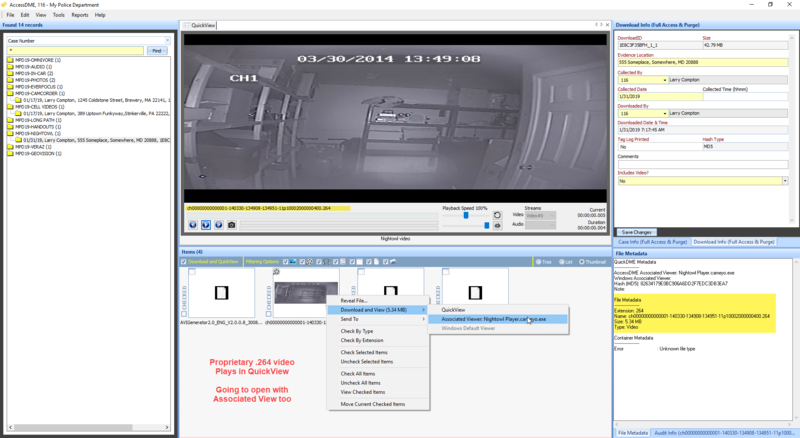 Standardize, Secure and automate digital evidence ingestion. Customize to match your agency’s policies, procedures & protocols. 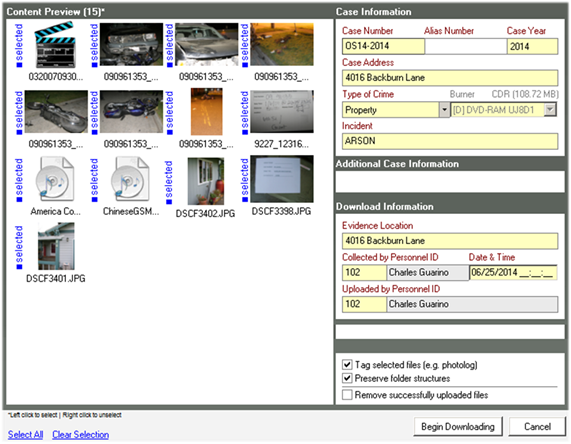 Search for cases by ID, Crime Type, Time Frame, Custom Fields, etc. Filter evidence by Video, Image, Audio, Documents or Other. 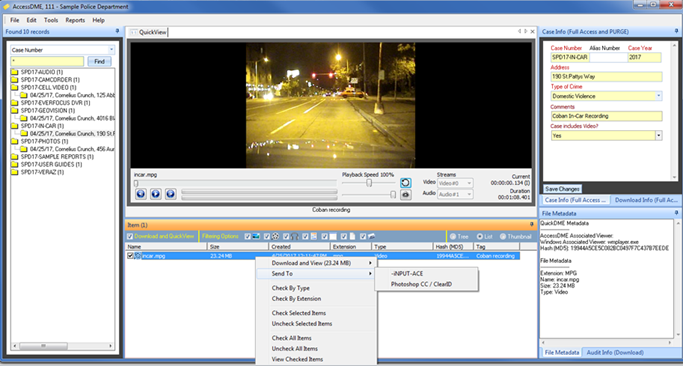 View evidence using QuickDME QuickView. 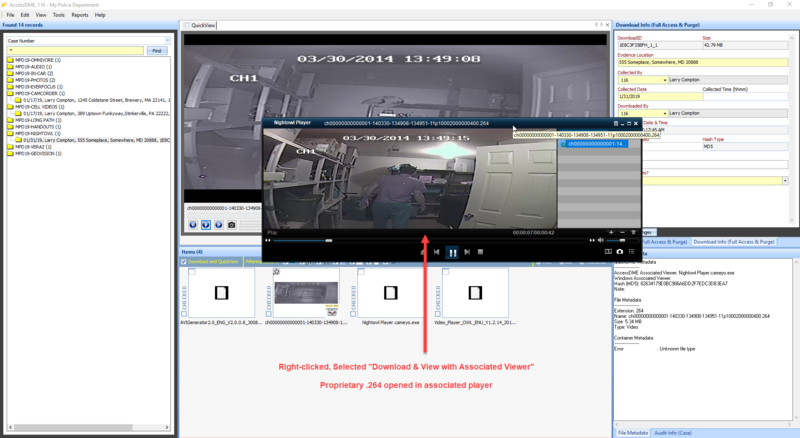 View evidence in its proprietary player using Sent To Associated Player feature. Eleven (11) default FFmpeg Send-To options for common processing tasks. Add notes to Case or Download folders, color-coded by user. 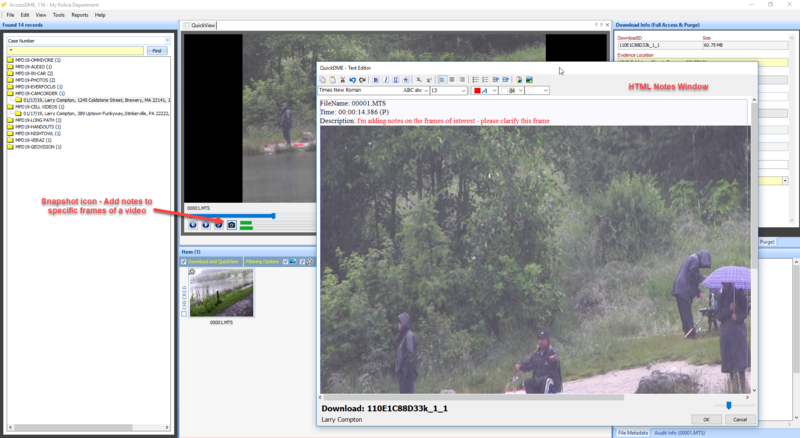 Add notes to a specific frame of video when viewing in QuickView player. Export notes as HTML or PDF. 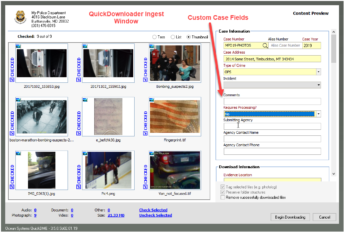 Check in and track derivative work products or copies associated to the original asset. Disseminate via copy, burn to disc, print or even fully electronically via web services. All secure. All Auditable. All customizable to meet your needs. 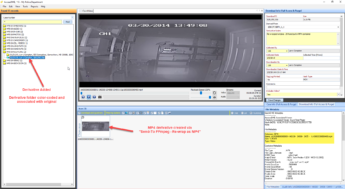 Ready to See QuickDME in Action ? 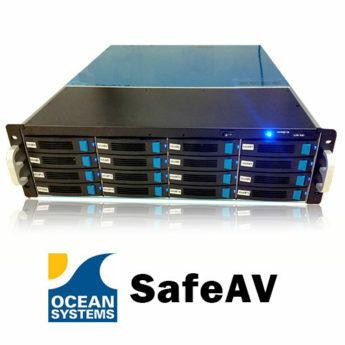 “QuickDME has helped us to simplify and standardize our agencies ingest, cataloging, auditing, and dissemination of all our digital evidence.” I’ve used a previous version named Downloader for years, so I was pleased to learn Ocean Systems acquired this product and did a major rewrite to support Windows 7 while expanding the features, speed and security options. 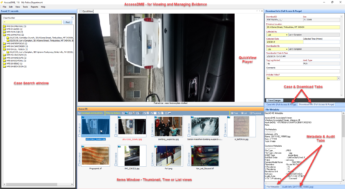 The upgraded version called QuickDME™ is a work horse at our agency for ingesting all our crime scene photos, printing photo log reports, and organizating and sharing all our video and other digital case assets. QuickDME™ originated as a crime screen photography solution, so being able to effectively manage crime scene photos is core to its design with many applicable features such as – ingesting multiple cases at once with hashing and auto disc burning as an optional setting, restrict to authorized cameras and file types, raw file support, tagging and photo logs, ability mark items as sensitive for restricted viewing, and more. 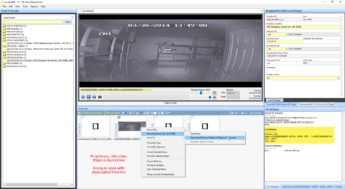 Benefits – Increase Productivity and Reduce Risk with Security and detailed Auditing. Get Started Today with your own Free Trial Version – Click Here to download. Contact Sales to review how QuickDME can benefit your department. 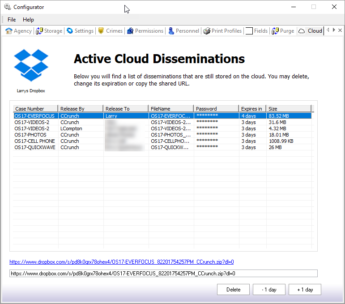 02/13/19 – QuickDME v3.5 Released – Download Today! 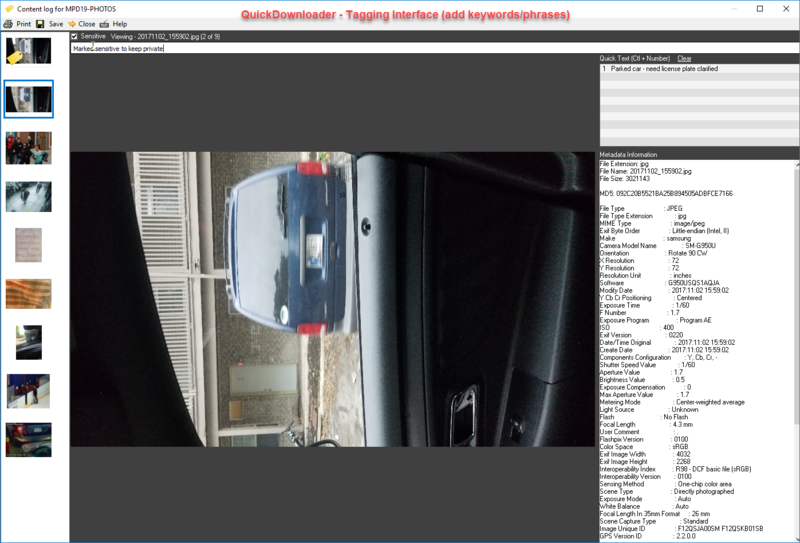 06/05/18 – QuickDME v3.2 Released – Download Today! 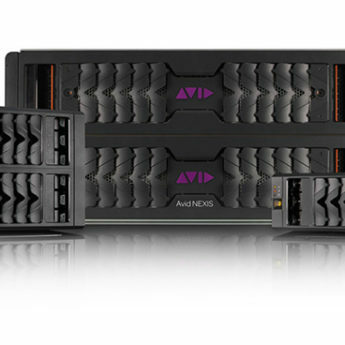 for database or evidence storage when only deploying the entire solution on a single workstation (e.g. 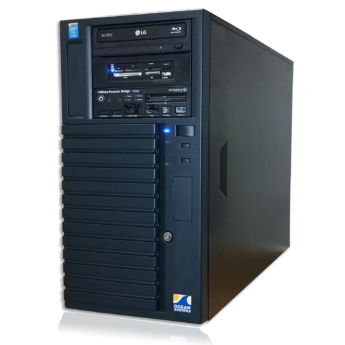 • Supports all digital media files and maintains folder structure. 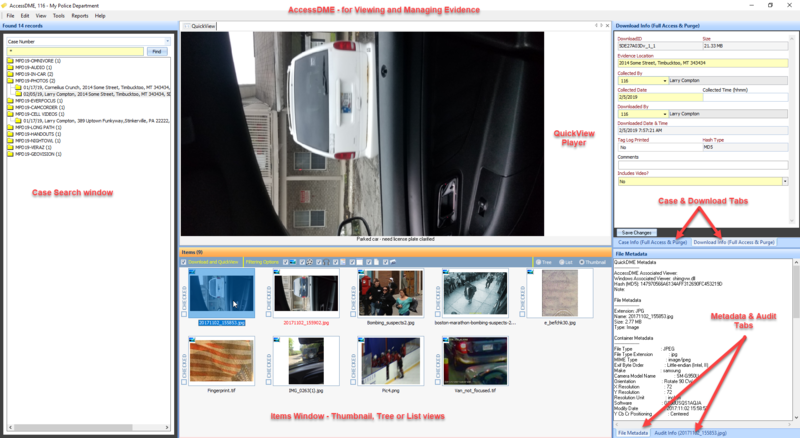 QuickDME™ is Digital Evidence Management Solution that can be scaled from an inexpensive single user license to a complete asset management solution deployed domain-wide across your entire agency (or between multiple agencies). Click the icon in the upper left-hand corner of the player to navigate the playlist. For a more detailed overview watch one of our recorded webinars. 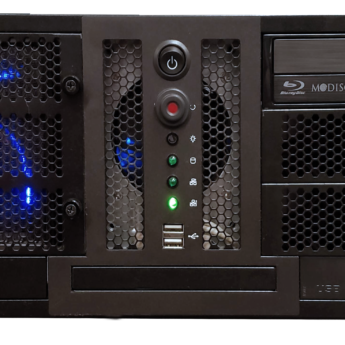 Can QuickDME™ be provided as a Turnkey Solution with secure NAS storage? Can I see the actual FFmpeg commands used for the default Send-To’s? Can I see statistics for types of cases & amount of storage used by file category for a given period? How does QuickDME™ licensing work? Do I need to install FFmpeg in order to use the new FFmpeg “Send-To” options? 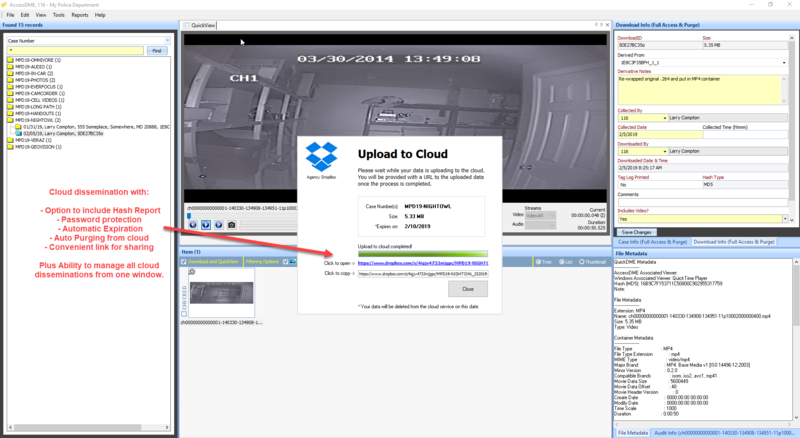 Can we keep our evidence stored exactly as we have it stored today if we use QuickDME™? Which Cloud Services does QuickDME™ support? 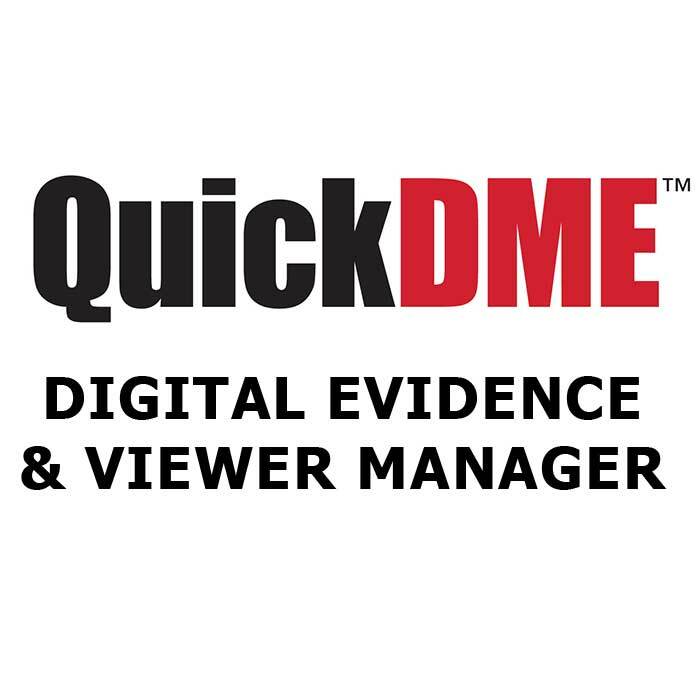 We want you to check out QuickDME™ first-hand…for free. Complete & Submit the Download Request form via the link below and your download will begin automatically.